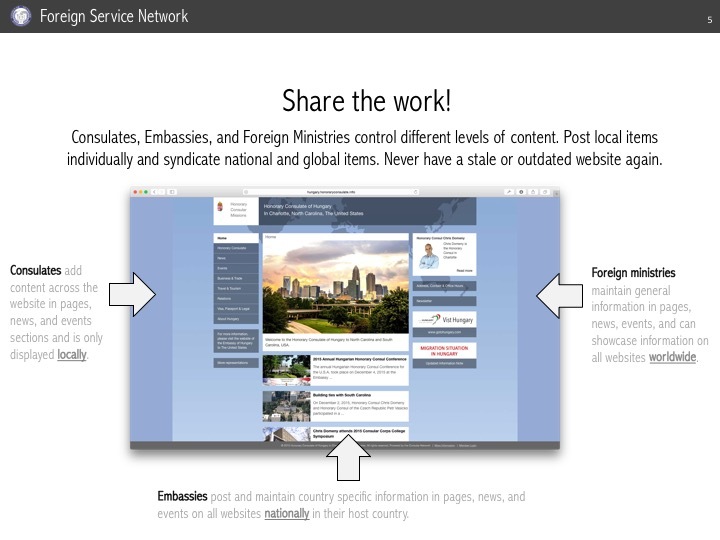 Find foreign representations around the world. 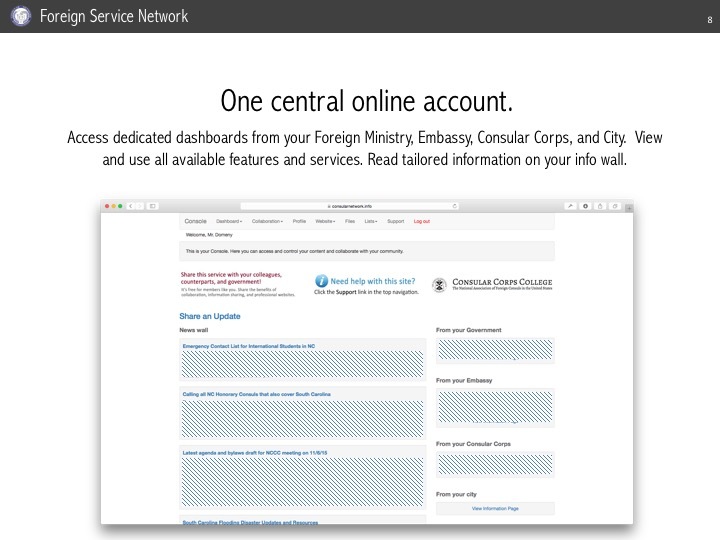 Foreign representatives: Join to receive access to your country dashboard, network, and local website. 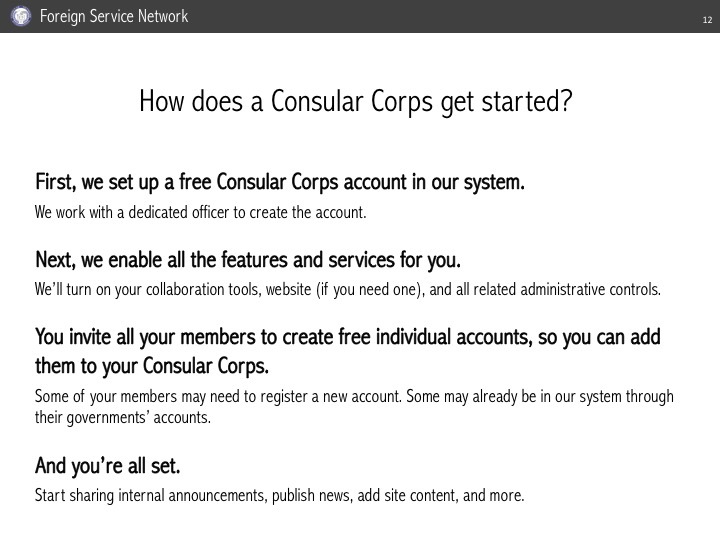 Consular Corps: Join to get your free website and collaboration platform. 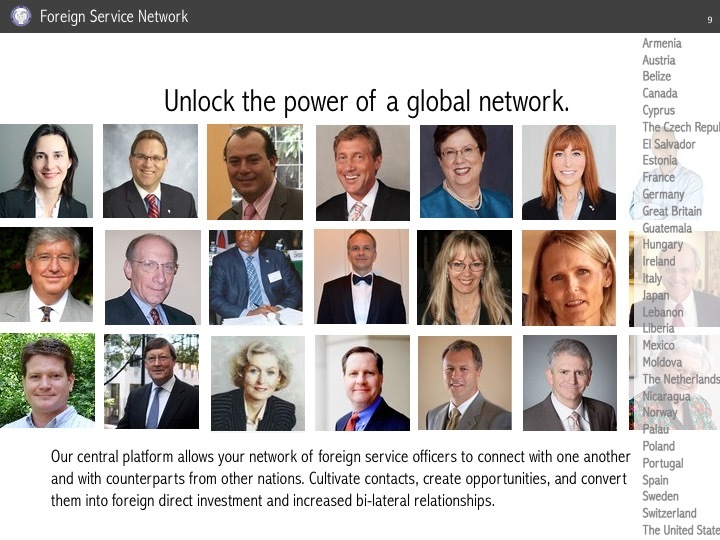 The Foreign Service Network partners with the United States Consular Corps College. 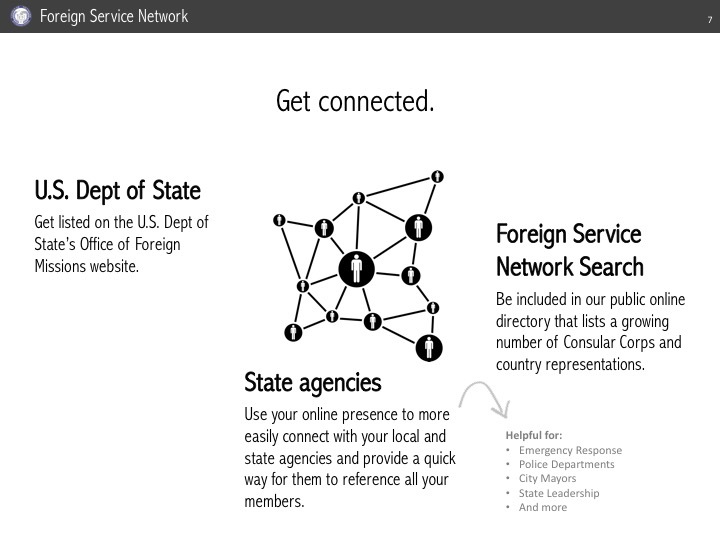 We provide websites and collaboration tools for Honorary Consulates, Consulates General, Embassies, and Consular Corps around the world. 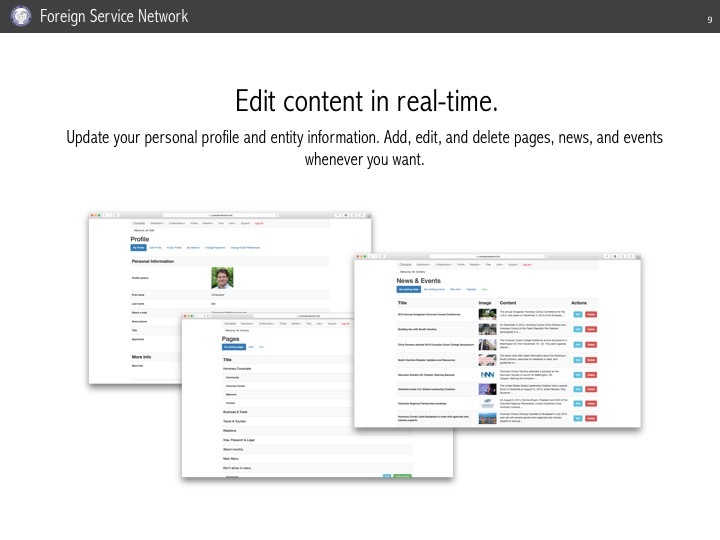 A secured and cloud-based platform for your online presence, content, and communications. 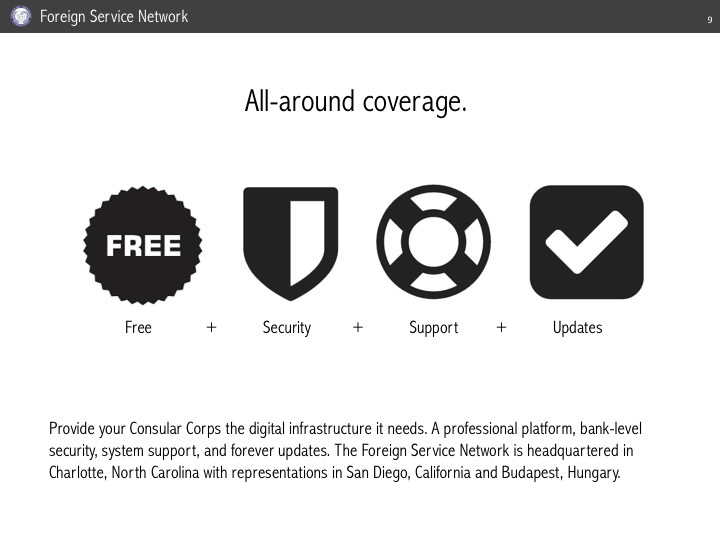 Easy setup, simple usage, and reliable support. 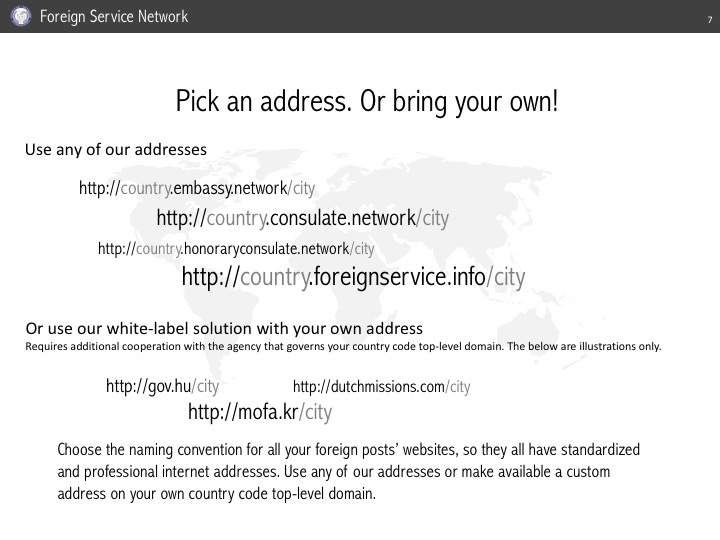 Receive your own customizable website for your jurisdiction. 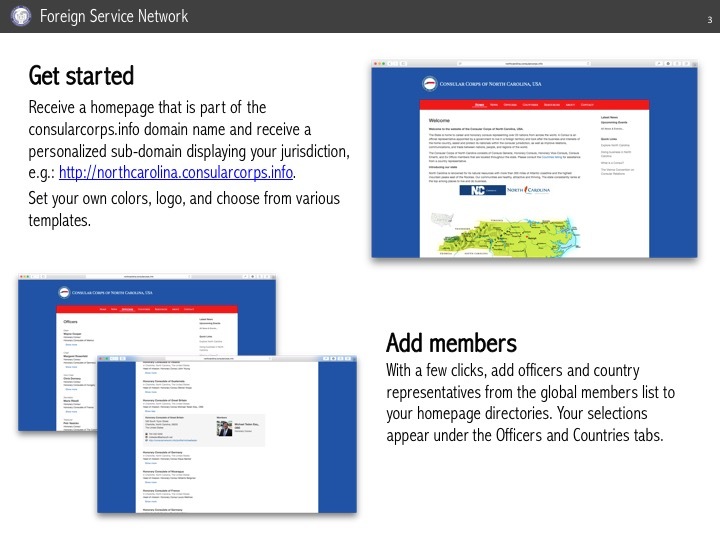 Showcase information, officers, countries, links, and other material. 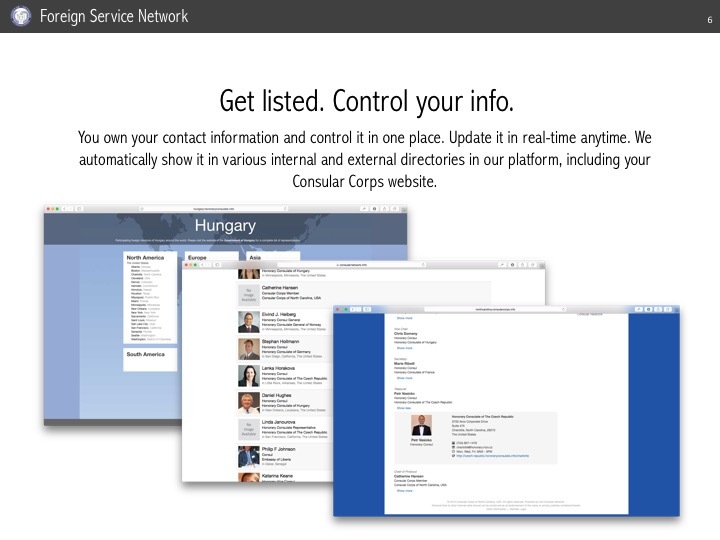 Control everything via an administration panel and collaborate within your group through a secure Console. 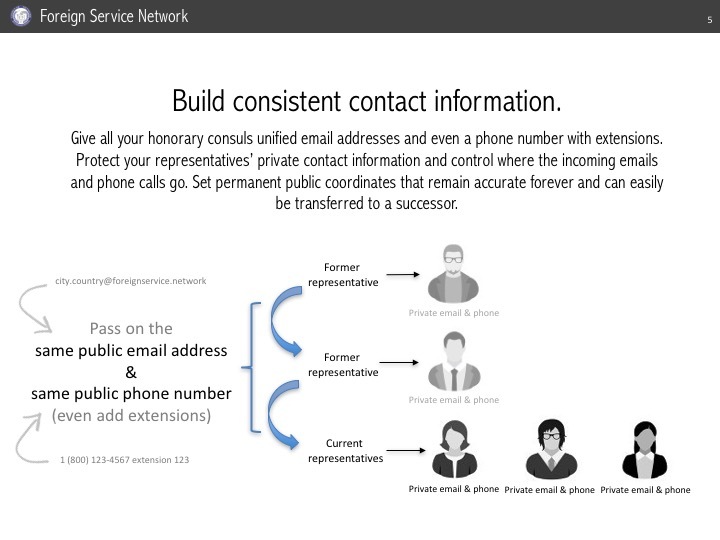 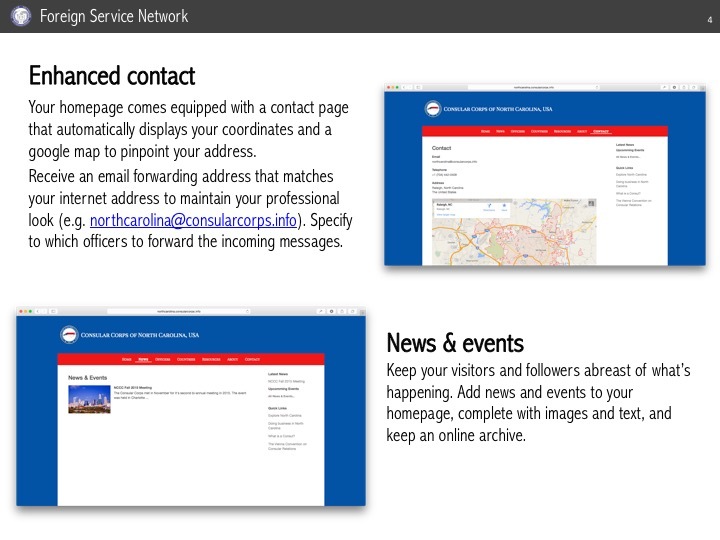 Your members can update their own contact information in real-time. 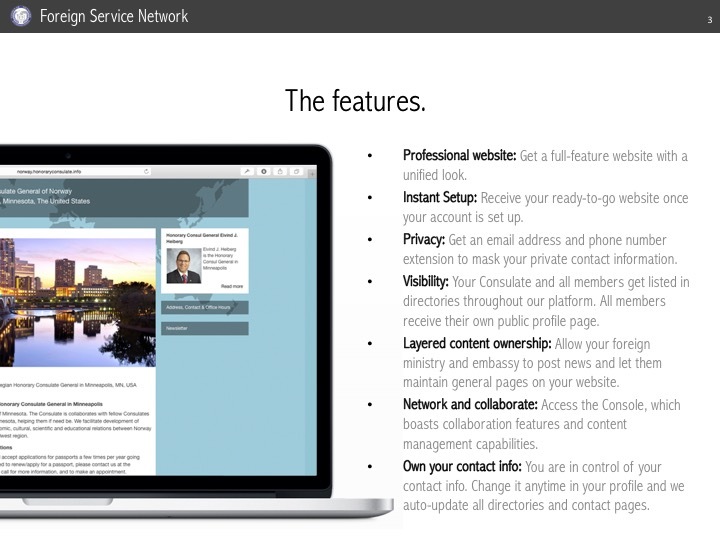 Obtain a full-feature online web presence for each service post. 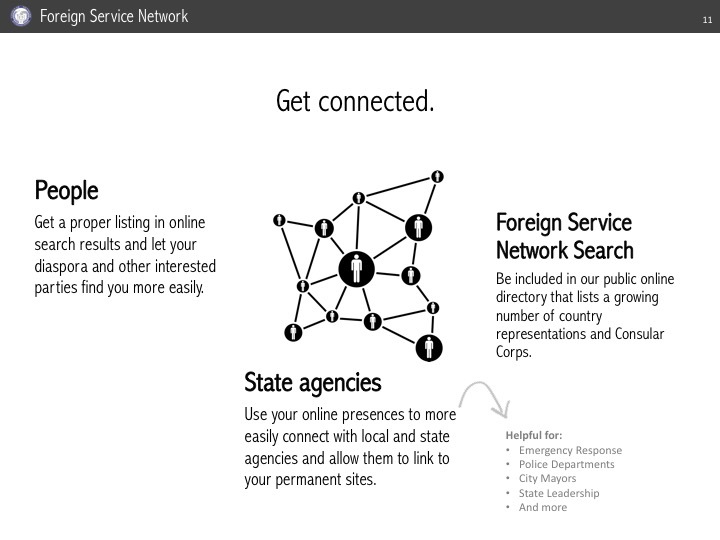 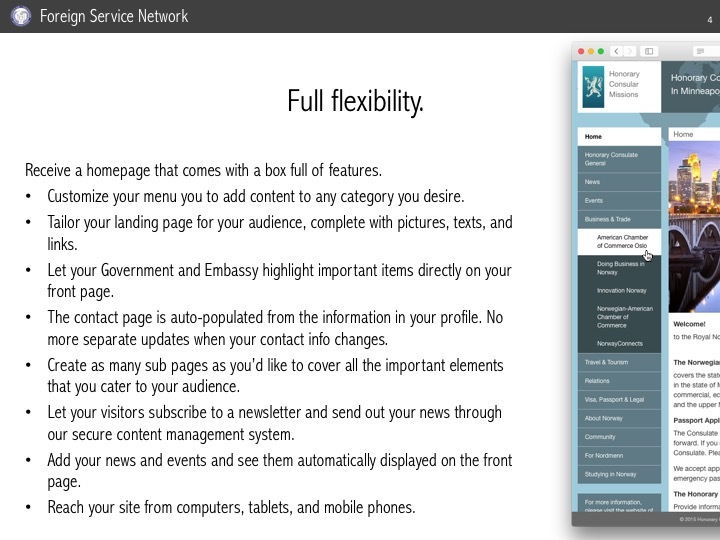 Control your own regional pages and let your Embassy and Foreign Ministry maintain national and global content. 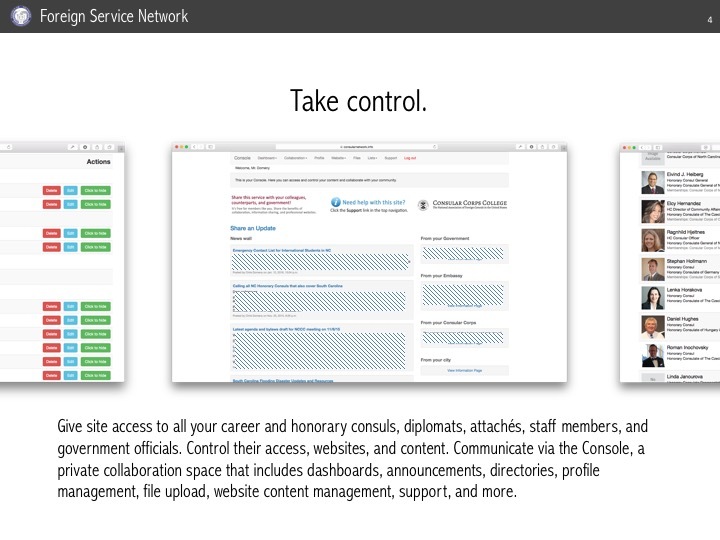 Post news and events, and collaborate with your peers via a secure Console. 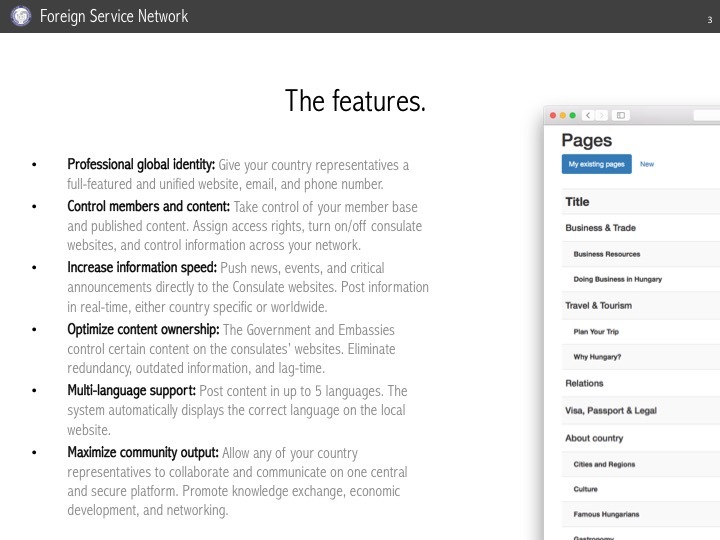 Standardize the look and feel across all your foreign representations’ websites. 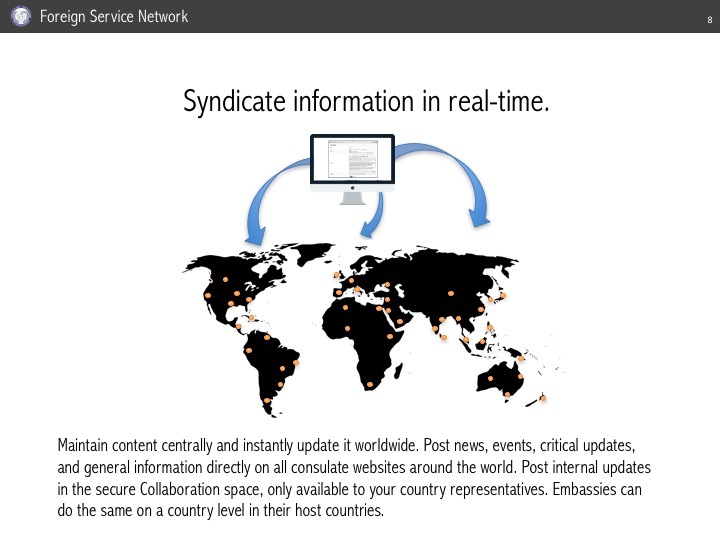 Collaborate with your staff globally and syndicate information instantly to all posts. 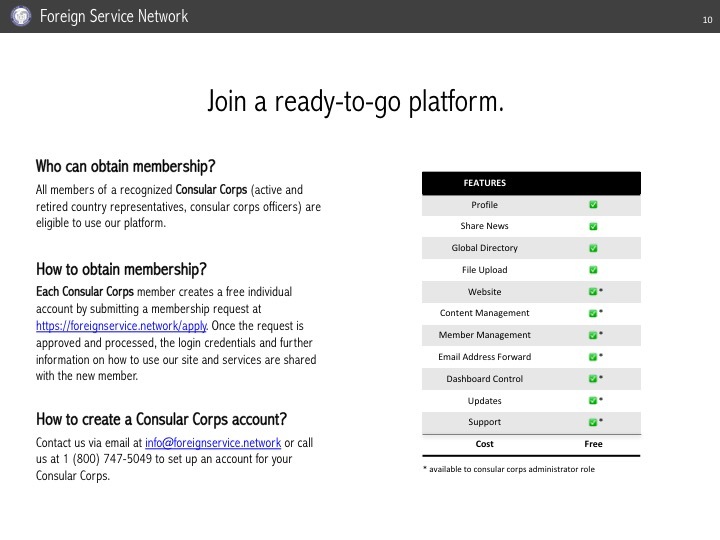 Control access and content and eliminate redundancy and outdated material. 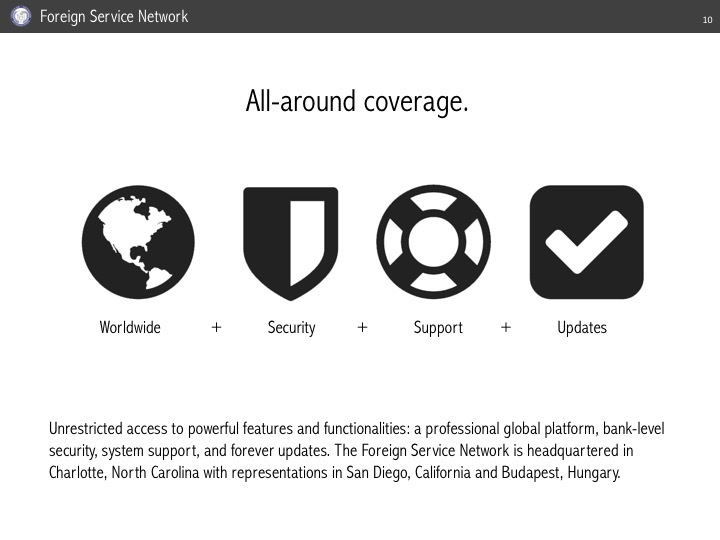 Multi- language support. 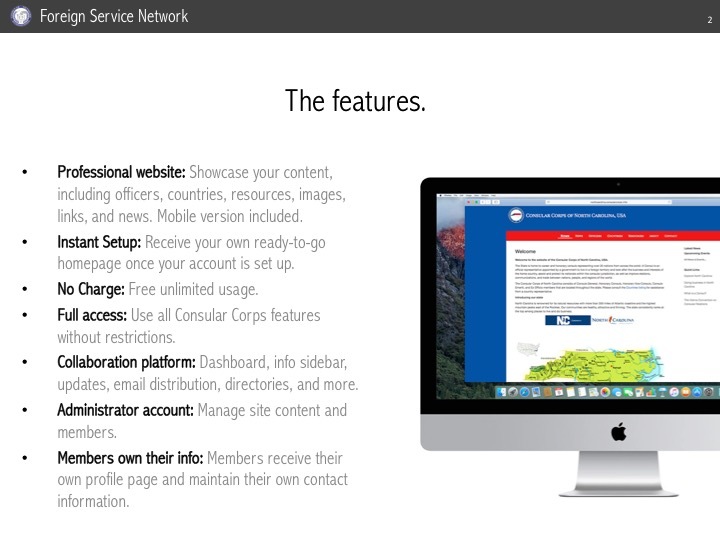 No downloads or installations. 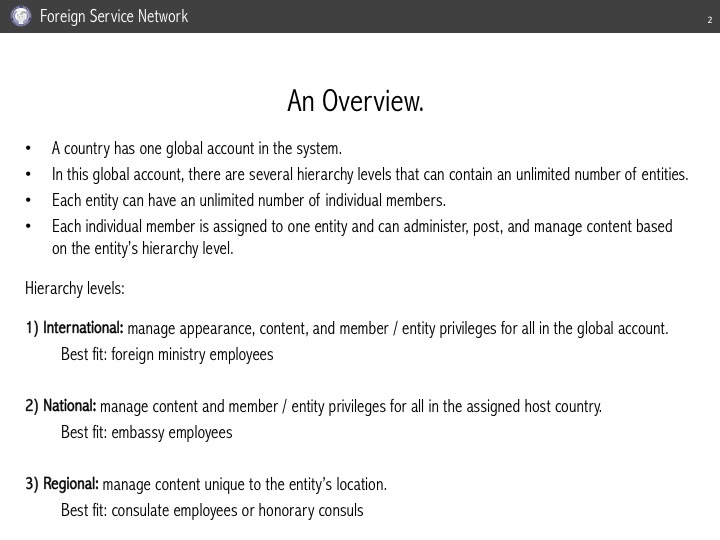 Access your account and maintain your content online via an internet browser – computer, mobile, or tablet. 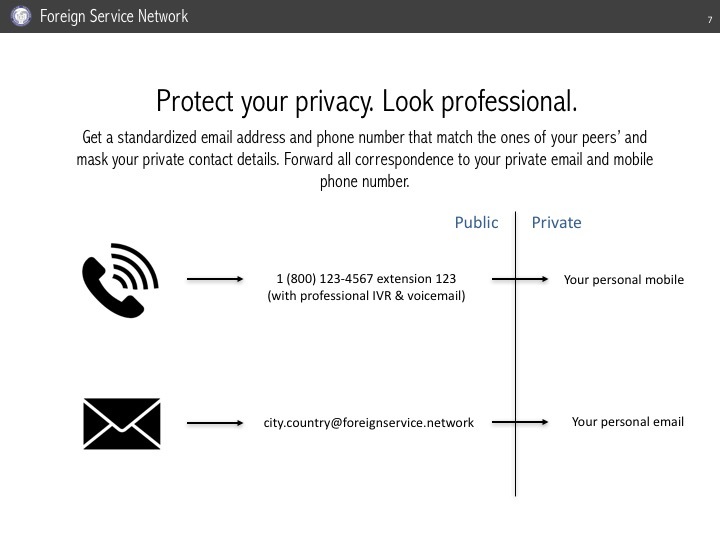 Bank-level SSL encryption for all critical areas. 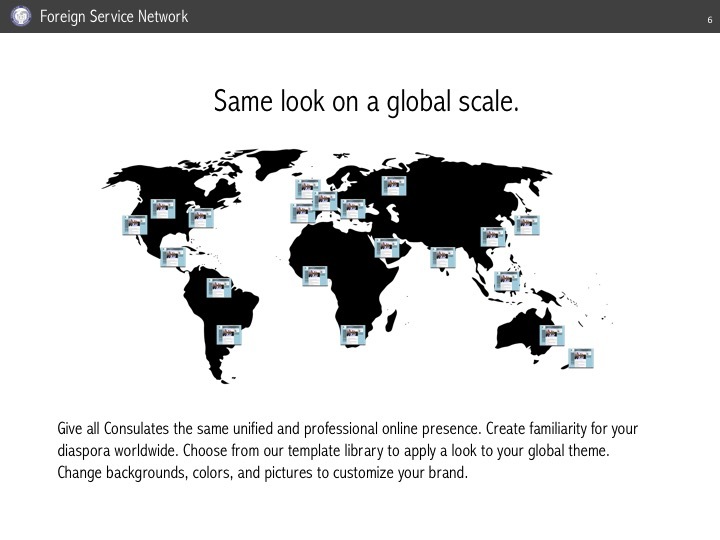 The platform is physically hosted in the United States. 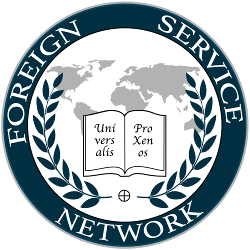 Managed by foreign relations experts and advised by dignitaries in the international community. 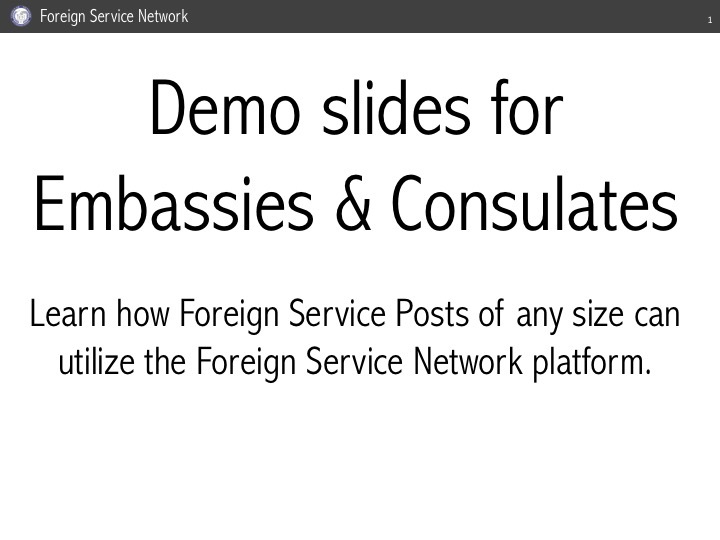 All country representatives of any nation (Career and Honorary Consuls, Diplomats, Attachés, and administrative staff of any Consulate or Embassy). 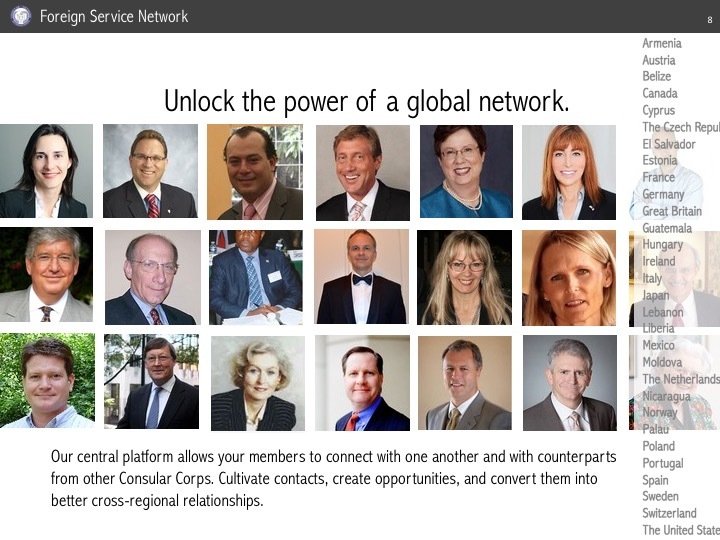 All official Consular Corps officers from any region around the world. 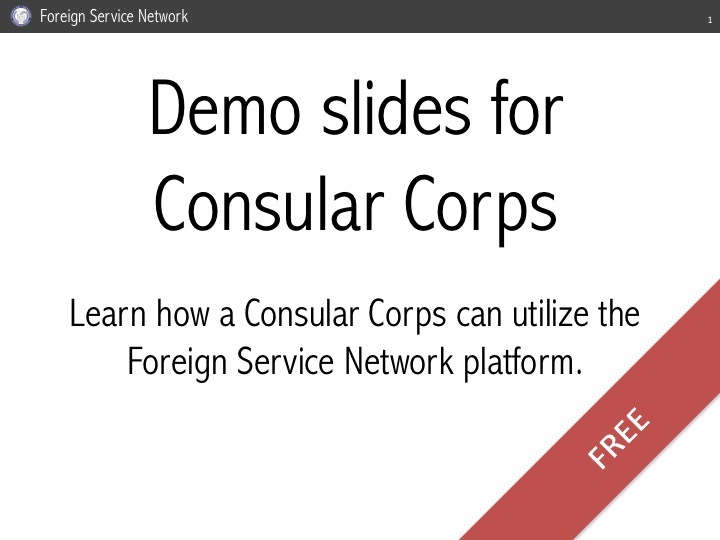 We are excited to announce a strategic partnership with the Consular Corps College (CCC), a Washington D.C.-based organization that is the leading educational content creator for the diplomatic and consular community in the United States. 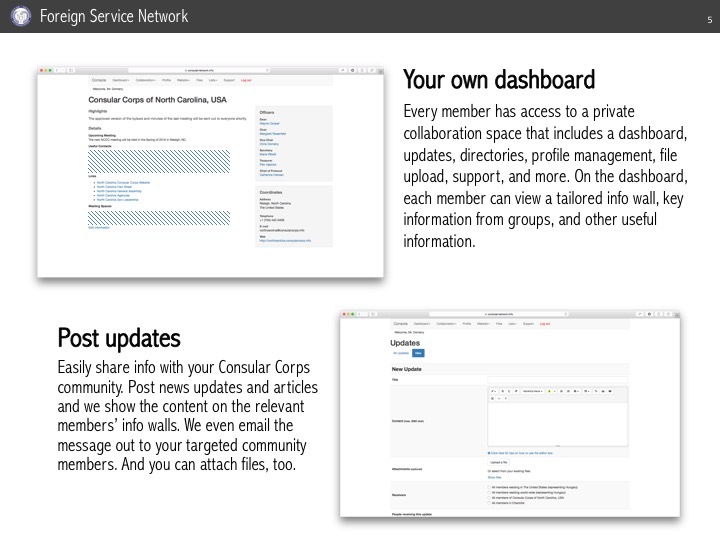 The FSN has provided a dedicated online dashboard for the CCC where members have access to select content right in the FSN portal. 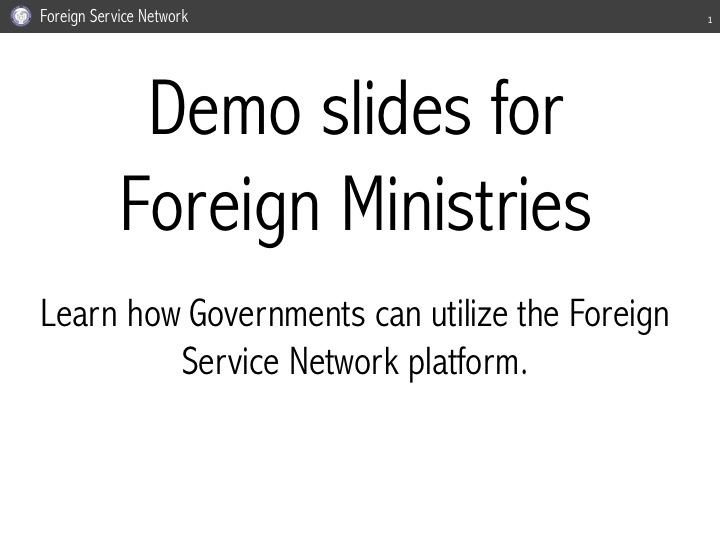 By joining the powers of technology enablement and knowledge, the two organizations hope to be more effective in supporting the foreign representatives across the United States.